This song is about is about a women being trapped in her own life. She is suffering from loss, depression and is on the verge of suicide. In the end she decides to hang herself from an old tree that has always been surrounded by crows. The main “vision” of the song is her slipping the rope around her neck and stepping off a large branch of the tree. No Quarter is about the pirate legend Davy Jones. The song is sung from the perspective of another pirate who is facing off against him. Sailing into a battle that they know they cannot win. The end, resulting in a huge cannon fire battle that sinks the opposing ship and Davy Jones sails away with the souls of those who challenged him. This song is about a couple. The male is suffering from sever depression and asks his girlfriend to help him commit suicide. She eventually agrees. However, he is now stuck between worlds being tormented by demons for killing himself and his girlfriend is being haunted by him and his suffering for helping him. This song is about a girl who has been torn apart by her relationship. She knows he’s a liar, cheater and all they do is fight, yet she suffered through it and sticks with him. Until she feels it’s fully tearing her apart and she is no longer the person she used to be. She feels likes she’s living in a war zone and cannot break free from it. Screaming out loud with no one willing to listen. Being captive in your own mind, having your dreams torn away and having no hope left to break free from the chains holding you down. Having the entire world against you and seeing your life go up in flames. Mental torment of losing the one thing you used to hold onto. Dying inside for a dream that will never come true or a person who will only destroy you. 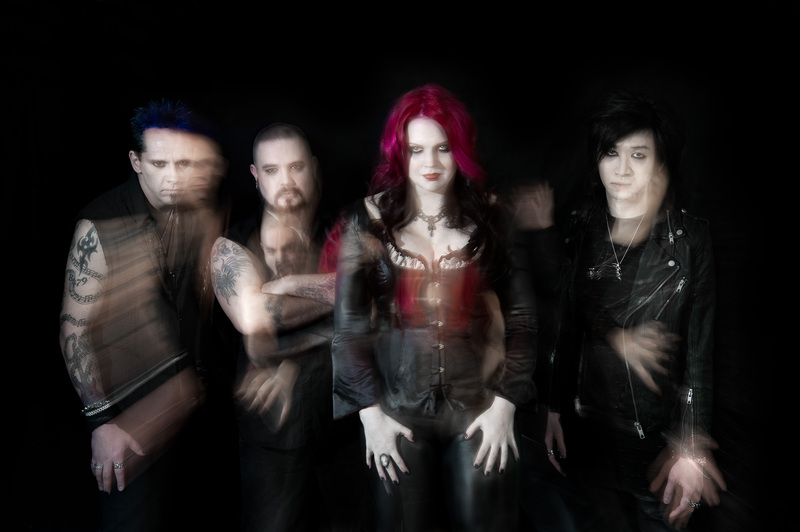 Canadian band CELESTIAL RUIN is styled after European Symphonic Rock/Metal but executed with a decidedly North American flavor. Combining a heavenly destruction of heavy riffs with beautiful melodies, CELESTIAL RUIN create catchy, singable melodies, and rich symphonic textures. The compositions are “epic” by all accounts. Lyrical themes are mainly drawn from fantasy and horror, sometimes implying deeper meanings, sometimes just celebrating the subject matter. After successful 2012 and 2013 summer tours, CELESTIAL RUIN was offered many opportunities that included opening slots with Stone Temple Pilots, Leaves Eyes, Moonspell and being a featured performer for Vancouver Alternative Fashion Week for two consecutive years. CELESTIAL RUIN is always looking for the next unique avenue to expose their distinctive sound. “We play in the grey area of rock music, we are too heavy for rock, but not heavy enough for metal” comments vocalist Larissa Dawn. This is a praise that has been mirrored in many live reviews including Beat Route Magazine stating, “Celestial Ruin appears to be in a sub-genre scene of one…their differences are working to their advantage”. From September- December 2015 they completed a cross Canada tour (Out of Exile) and are now preparing for the release of their 2016 EP ‘Pandora’ produced by Joost Van Den Broek (Epica, Revamp, Xandria). “As a significant jump forward from our debut album, from song writing to production, this EP was a journey that allowed to us grow, and we hope that fans will grow with us.” says Larissa Dawn. 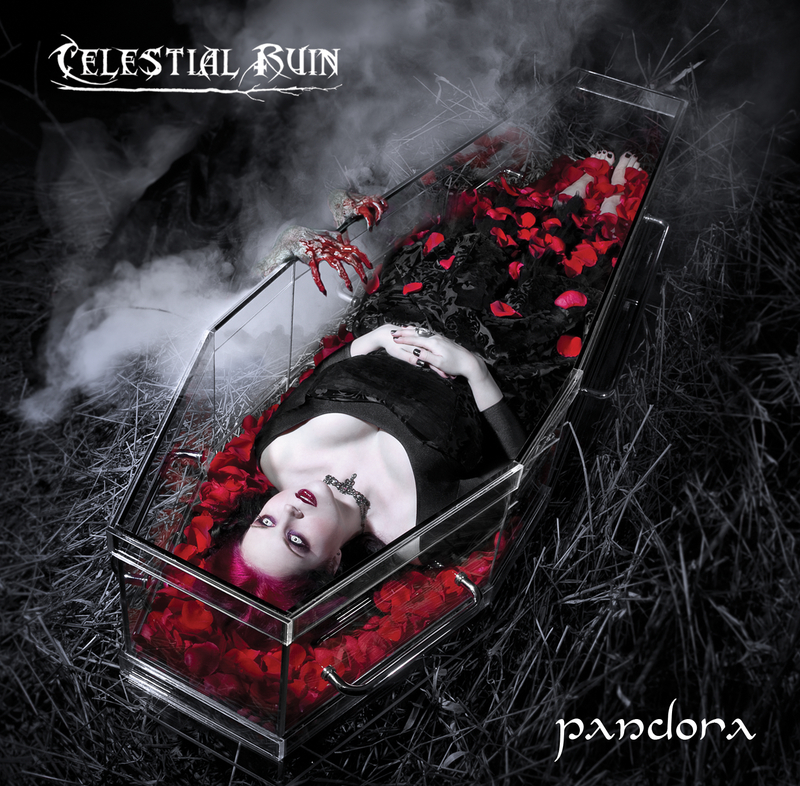 A collaborative writing effort by CELESTIAL RUIN, the May 20th release of ‘Pandora’ will showcase the best of their best shared with fans new and old alike. “The music on ‘Pandora’ is about unleashing chaos, beauty and all emotions into the world. It celebrates both the joy and the pain that emotions can create. The lyrics on this release come from a mix of personal experiences and fantasy elements. Most of the were written during a time when Larissa was going through recovery from a surgery and was unable to speak, sing and barely able to stand up. So the frustration, sadness, anger and fear she felt during her recovery created “Pandora”.” says drummer Adam Todd. For more info, please visit www.CelestialRuin.com.